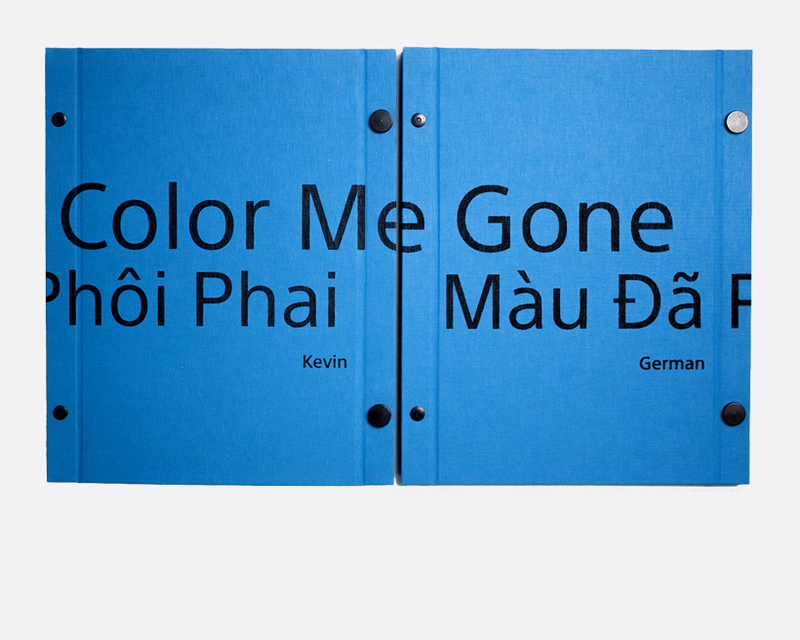 Color Me Gone is a circular narrative about a developing Vietnam. I spent 10 years trying to figure out a connection for Vietnam that I first felt when I befriended Vietnamese immigrants while working in California. Because Vietnam is such a sensitive topic, I wanted to find a way to contrast modern Vietnam with a nostalgia from the memories of people who fled the country. The book is designed to be opened on both sides challenging the reader to look at the work with a different perspective. Each side changes the layout of the images directed by a simple message: Forget what you remember and remember what you forgot.